Who doesn’t love date nights? Especially when you’re other half organises it. 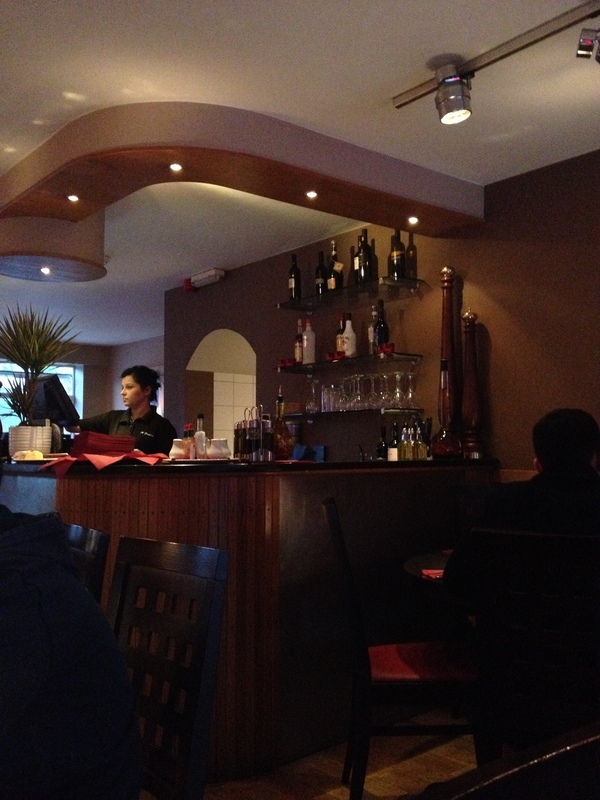 So for a mid-week Italian treat we dined at the Va Pensiero restaurant in Radlett. On arrival we had no reservation, but were seated straight away. 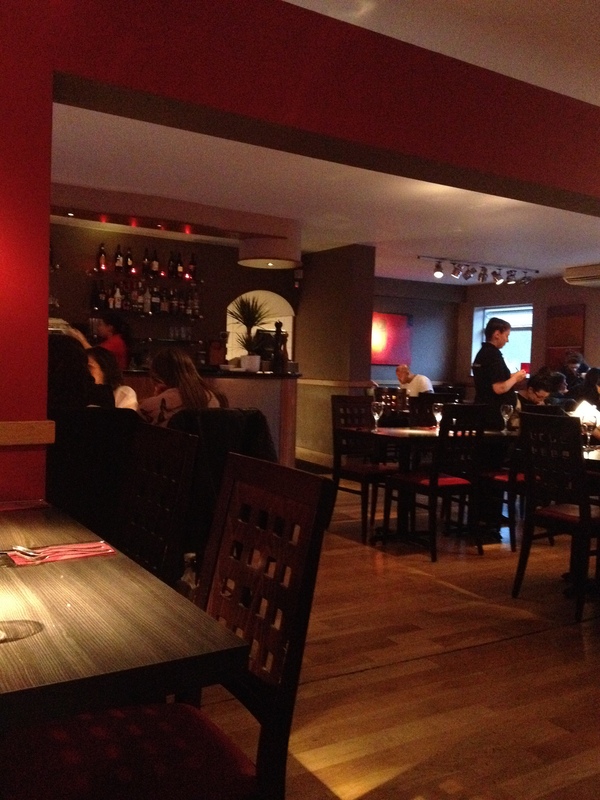 The restaurant is modern with a bar on either end, staffs are friendly and the atmosphere was buzzing. 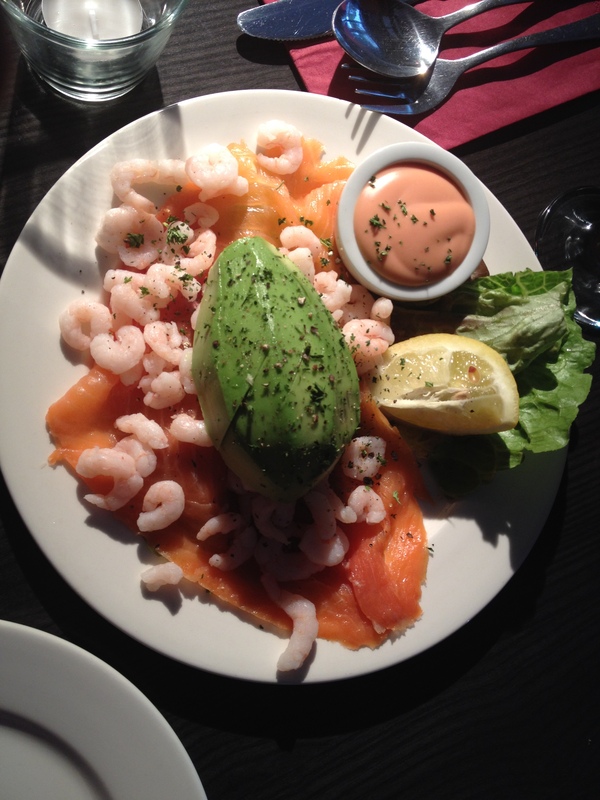 To accompany our wine, we decided on a starter: Affumicato (£6.10) which is a salad of smoked salmon, prawns and avocado. The presentation wasn’t great: half an avocado dumped on a bed of prawns and smoked salmon it didn’t really look appealing, but it tasted fine. Onto the mains I selected the Canelloni (£8.95): pasta rolled and filled with ricotta cheese and fresh spinach, baked in a creamy tomato sauce, whilst my boyfriend chose the Risotto Contadina (£9.25); chicken, mushroom and pesto in a white wine cream sauce and garlic bread on the side (£3.15). This time the food presentation wasn’t bad, my cannelloni dish was extremely hot that I did manage to burn my lip, I shouldn’t have dived straight into the dish, oh well! 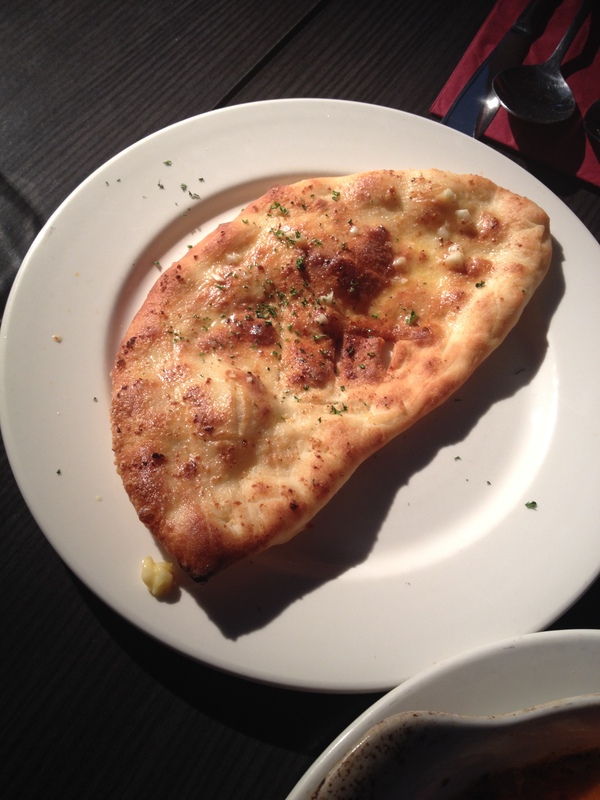 It was tasty but average, it didn’t wow me. 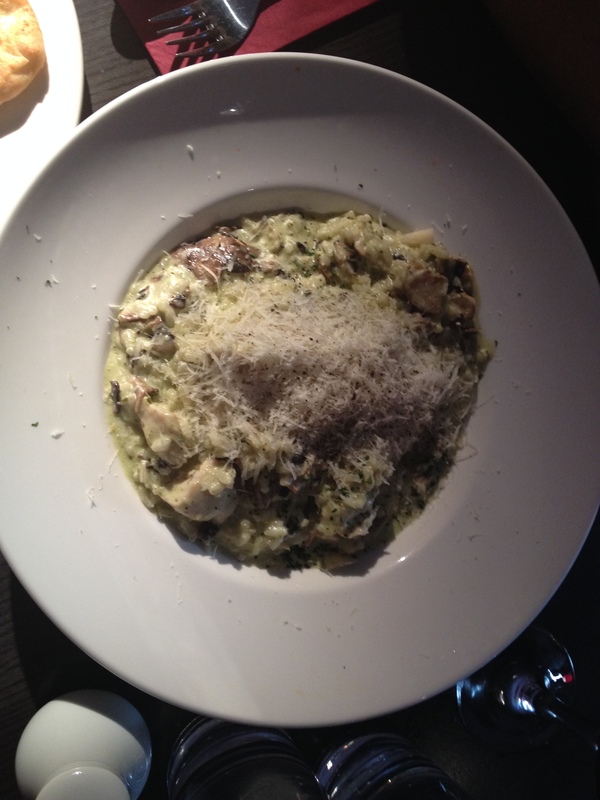 My other half’s risotto was good even though it was slightly bland. 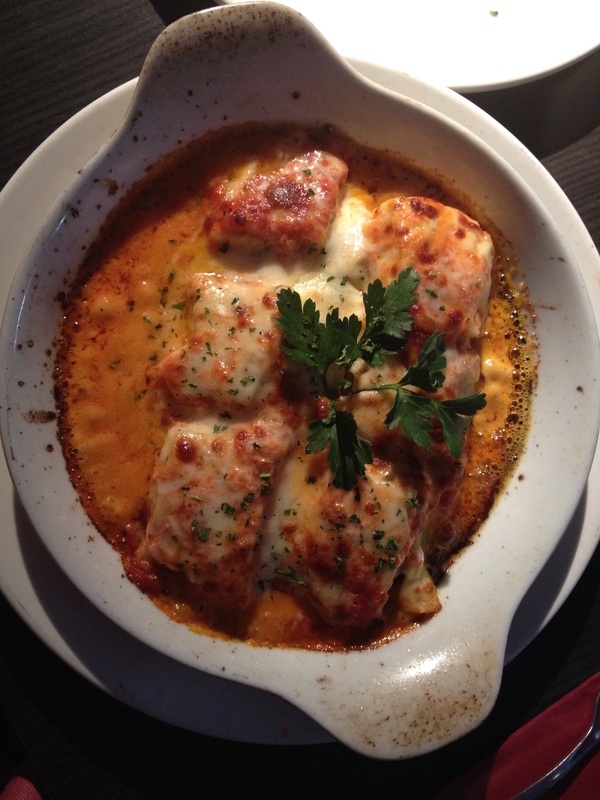 Overall the food at Va Pensiero was average not a restaurant where I would want to dine again, but if you are after a traditional Italian restaurant then I would highly recommend Casa Mia in Hatch end.